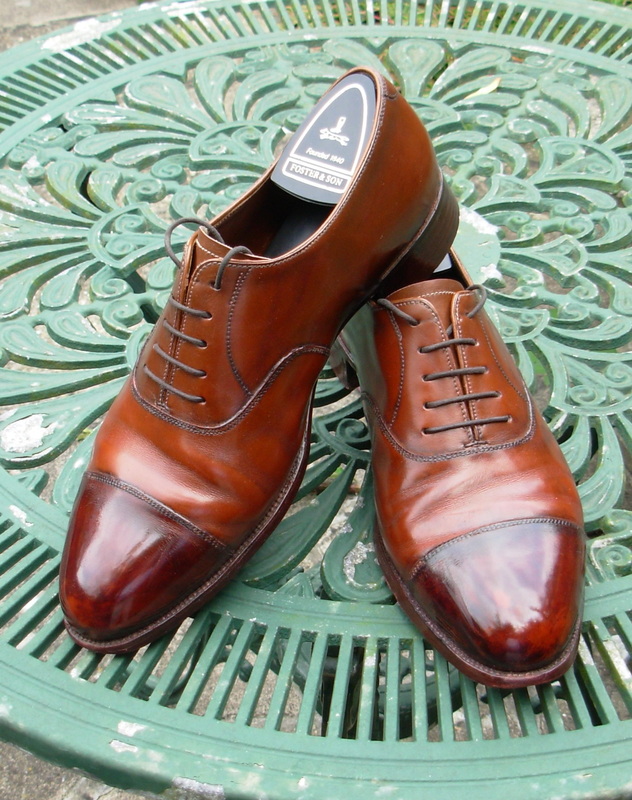 A long standing customer of ours sent this picture of a pair of Foster bespoke shoes we made for him in 1998. Originally they were dark tan in colour and we are amazed to see what time had done to them. This customer likes a high shine on his toe caps and we think it looks marvellous. So, there you are, rain, mud, sunshine and polish! This entry was posted in Our Shoes, Uncategorized and tagged Uncategorized. Bookmark the permalink.